Check out these fingerprint bees! I love fingerprint art because it is easy to follow the directions and the end result is adorable! This freebie is from Fingerprint Fun. There are simple, step by step directions on how to create these buzzing bees. Print out the page and complete the picture with your own fingerprint bee to create a work of art that is refrigerator ready! This activity encourages children to practice visual motor skills, fine motor skills and creativity. 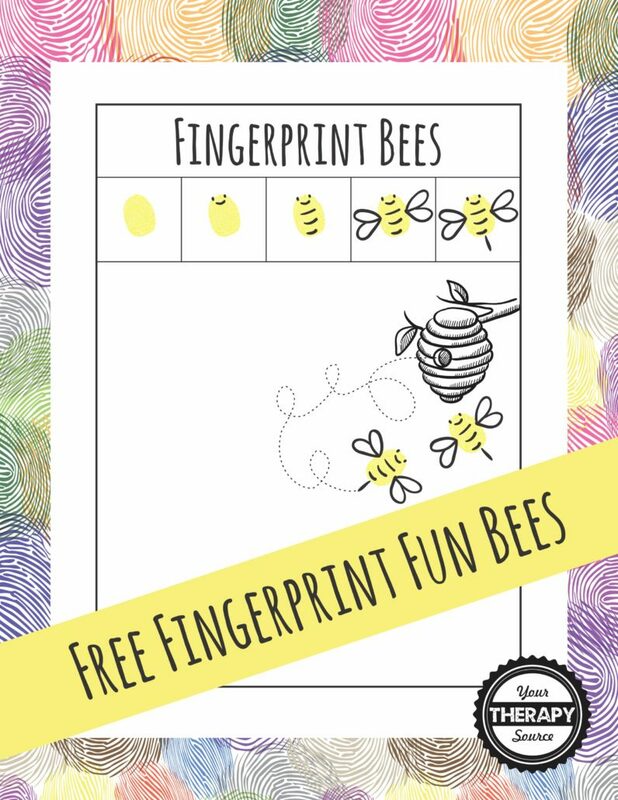 Download the Fingerprint Bees activity page. 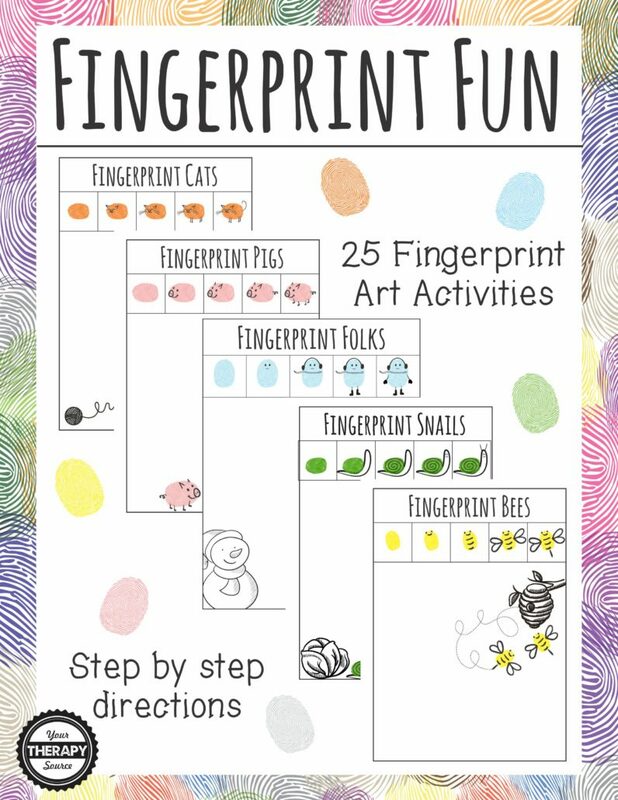 Fingerprint Fun is a no prep, digital download of 25 fingerprint activities with step by step directions. Each page includes step by step directions, a picture prompt and space to complete the fingerprint artwork picture with your own adorable, fingerprint friends. FIND OUT MORE INFORMATION.